A lumber sympathetic block is the name given to a treatment where a Seattle pain doctor injects numbing medicine around the sympathetic plexus to relieve pain. The lumber sympathetic block can be a life-changing procedure for those suffering from a variety of debilitating conditions associated with the legs. What are the major indicators for having Lumbar Sympathetic Block? The primary conditions that qualify a patient for a lumber sympathetic block are Reflex Sympathetic Dystrophy and Complex Regional Pain Syndrome, usually abbreviated to RSD and CRPS. These often go undiagnosed or are mistaken for something else. What does a Lumbar Sympathetic Block entail? The lumber sympathetic block is administered to “block” the sympathetic chain from transmitting. 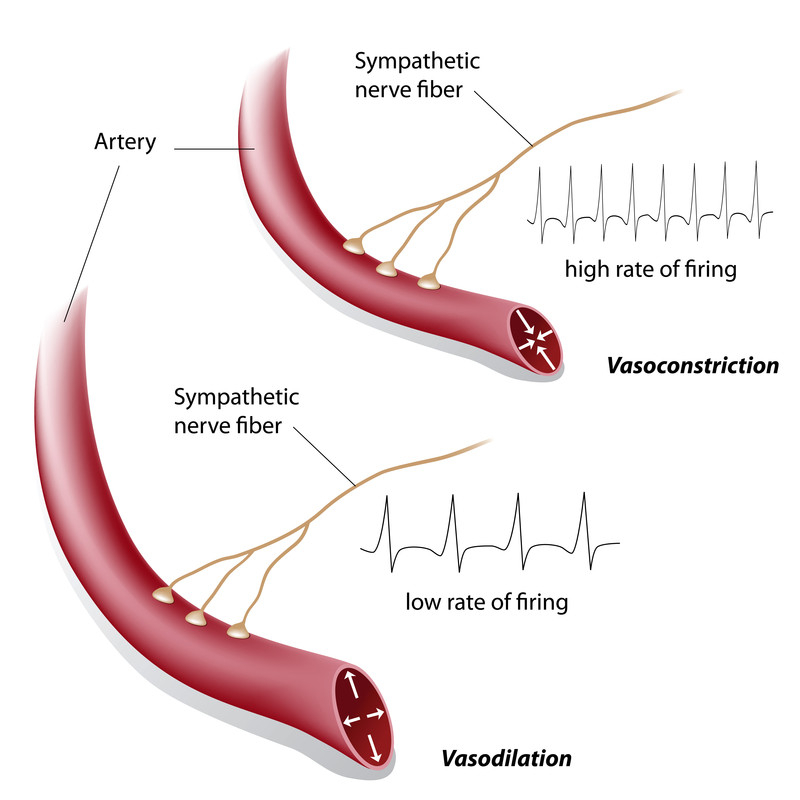 In RSD, the sympathetic nervous system is over active and causing excessive pain as a result. Blocking it may help with pain relief considerably. The procedure is low risk and outpatient, and typically performed under IV sedation. Seattle pain management doctors use image guidance for assistance and accuracy. 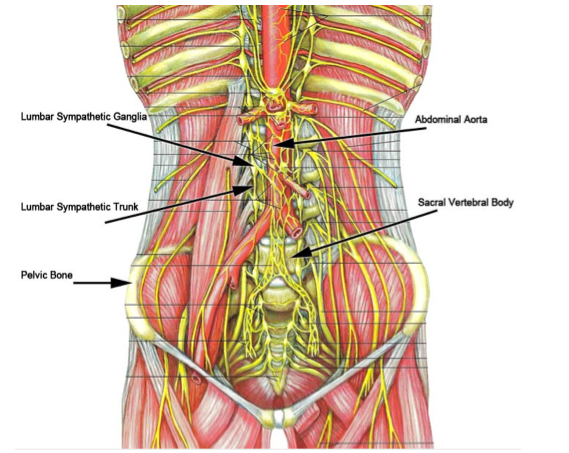 How does a Lumbar Sympathetic Block help the Seattle pain doctor provide treatment? Narcotic medication for pelvic or cancer pain is not often a great treatment, as the medications are typically ineffective. The key with RSD is to “break the cycle” of the sympathetic nerve over activity. This may allow patients to participate in PT and additional therapies to bring the best relief. What to expect when having Lumbar Sympathetic Block? The lumber sympathetic block process is usually performed under local anesthetic and IV sedation. The procedure takes about half an hour. Patients are placed prone, and the Seattle pain doctor will use one or two needles for the procedure. Once image guidance shows adequate needle placement, then the pain doctor will inject dye to make sure accuracy is perfect. Then numbing medicine is injected along with possibly steroid. Some pain physicians use phenol, which may provide longer lasting relief. If the treatment is successful, the patient will feel an immediate and quite welcome relief of any pain previously felt in the legs, along with a notable temperature change. What are the risks of having Lumbar Sympathetic Block? The risks associated with lumber sympathetic block are slight. This may include infection, bleeding, nerve injury or anesthesia complication. It’s unusual though. What are the benefits of having Lumbar Sympathetic Block? Sympathetic blocks may offer pain relief anywhere from weeks to several months. The procedure may be repeated every one to three months for optimal results. Seattle Pain Relief offers comprehensive treatment options including the lumbar sympathetic block procedure. The Board Certified Seattle pain management doctors help patients obtain relief, with most insurance being accepted.